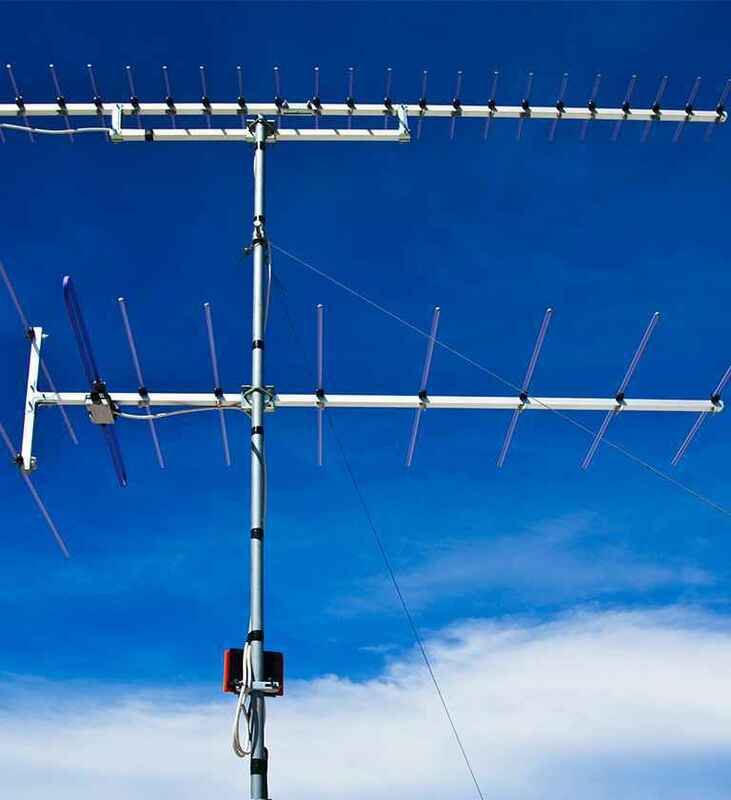 The Coastal Antenna team understand that the constantly evolving technology of today can be very confusing especially when it comes to good advice and the setting up of digital equipment. Installing and working things out for yourself can be rather difficult and time consuming especially without the correct testing equipment or knowledge. Our technicians are Cert III in telecommunications and are constantly trained on new products and installation methods. From our past experience the DIY alternative will usually result in intermittent and unreliable digital television systems. 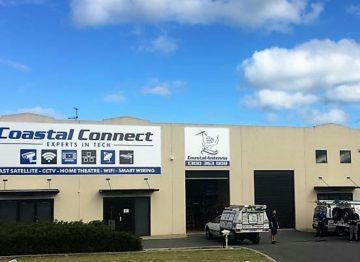 Coastal Antenna has been the leading provider of professional TV antenna installations in Mandurah and the peel region for over 30 years, And have been expanding their high quality digital television signal assessments throughout the Rockingham and south of Perth metropolitan areas. The company began in Mandurah, Western Australia and has been a family owned business since 1981. With a strong focus on customer service, we offer exceptional value for what you pay without compromising on quality. Customer satisfaction is paramount and we stop at nothing to ensure your complete satisfaction with our antenna and all installation services. Whether you just need a free quote and honest advice or want a full smart wired system designed for you and your needs our qualified technicians can help, as we are constantly evolving in all avenues of the digital revolution including data and wireless networks which are becoming extremely common in the Mandurah area whether you are making the switch to digital TV or upgrading your home theatre system, our technicians can help. We take the time to listen closely to your needs so we can deliver the most effective solution. This includes explaining all the options which apply to your installation and a step by step demonstration of how your new system works in easy to understand terms. This attention to detail and level of custom service is exactly why many homeowners and businesses continue to trust and use our services. Our skilled and qualified technicians come fully prepared to handle any installation with fully stocked vehicles and also carry mobile payment facilities. We have extensive experience on providing a range of services including digital antenna installations, fault finding, data cabling, smart wiring, wireless networking, home theatre setup, digital upgrades, satellite systems, MDU, MATV & SMATV systems, CCTV and much more. Coastal Antenna is proud to employ fully endorsed antenna installers and has met all quality guidelines set by the Antenna Installer Endorsement Scheme. Our technicians are authorised and trained to help consumers make the switch to digital TV as easy as possible. We offer a full range of options which are available to bring digital TV or any other digital appliance to your home or even complete theatre system to your home. With more digital channels being broadcast in high definition quality, there has never been a better time to have your digital TV and cabling checked. . With over 30 years of experience, our technicians have the knowledge and expertise to get any digital system completely set up. Our commitment to customer service allows us to offer a on-time guarantee and we will supply a minimum of 2 confirmation sms or phone calls before arriving on site for your job. We will also confirm the quote and installation method with you before proceeding with the new installation. Whether you prefer the morning or the afternoon, we can work according to a time that best suits you. Our friendly technicians will complete the job without leaving any mess behind. Contact us today to take advantage of a free, no obligation antenna and television signal assessment. See the world crystal clearTalk to Coastal Antenna today! Digital AntennasHome Theatre SetupLarge TV MountingDigital Set Top BoxesSatellite Systems& Much More!